Music of Saint-Saens, Mussorgsky, Dukas, Dvorak, Balakirev, and Ives. 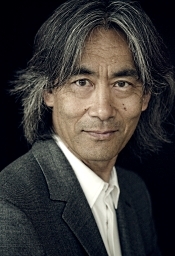 Kent Nagano, Montreal Symphony Orchestra. Decca 483 0396. Witches and devils and demons. Oh, my! This album showed up just in time for Halloween. Kent Nagano and the Montreal Symphony Orchestra present a program of mostly familiar and some maybe unfamiliar symphonic music inspired by traditional supernatural folk tales. It's fun stuff, although listeners will probably find they already have most of the material on their shelves. Still, it's nice having it all in one place, even if Decca chose to record it live in concert. I have long enjoyed the work of the Montreal Symphony. In fact, the very first CD I ever played in my home featured them, at the time led by Charles Dutoit. That was back in the early 80's, as I recall, a Decca/London recording of Ravel's Daphnis et Chloe, which I still have. The Montreal Symphony remain a terrific ensemble, so it's always good to hear them again. I've also long enjoyed the work of Kent Nagano. He was the longtime conductor of the Berkeley Symphony (from the late 70's to the mid 2000's), a local group for me, so I had the pleasure of hearing Maestro Nagano on many occasions. He always added an extra spark to the music that made it enjoyable, no matter what the subject matter. He continues that tradition with the Montreal players. So, first up on the agenda is The Sorcerer's Apprentice, a tone poem by French composer Paul Dukas (1865-1935). As with Mussorgsky's Night on the Bare Mountain below, the Apprentice may have achieved a measure of immortality through Leopold Stokowski's performance of it in Walt Disney's Fantasia. Here, Maestro Nagano gives us a smooth, atmospheric rendering of the work. It perhaps lacks some of Stokowski's dramatic flair, but it conveys more than its fair share of requisite thrills. What's more, the Montreal forces are in fine form, sounding luxuriously rich and exuberant. Next, we get The Noonday Witch, a tone poem by Czech composer Antonin Dvorak (1841-1904). This one relies a good deal on mood to tell its gruesome story of a mother who warns her unruly son that if he doesn't behave she'll call on a witch to quiet him. When the demon actually appears, the mother becomes so overwrought with fear, she winds up smothering the child to death. Sweet. Although I thought Nagano could have used a bit more melodrama here, the music is grim enough to pretty much take care of itself. After that is the Halloween favorite A Night on the Bare Mountain by Russian composer Modest Mussorgsky (1837-1881). In Rimsky-Korsakov's reorchestration, it's the centerpiece of the program, and again Nagano has to contend with the specter of Stokowski for our attention. Still, Nagano whips up a good deal of excitement in this unwholesome Sabbath, and its witches and devils frolic gleefully about. Then we come to what may be a less well-known number, the tone poem Tamara by Russian composer and pianist Mily Balakirev (1837-1910). Less well known, perhaps, but considered by many musical scholars as one of Balakirev's best works. It tells the legend of Tamara, a beautiful but evil queen who lures men to their deaths and tosses their bodies from her castle into the river below it. Under Nagano's guidance the piece runs along elegantly at first, becoming more ominous as it goes along and reaching its theatrical climaxes with appropriate flair. After that we find the album's title tune, Danse macabre, by the French composer, organist, pianist, and conductor Camille Saint-Saens (1835-1921). In this one, Death calls forth lost souls with the fiendish music of his violin, and under Nagano it's probably the most effectively frightening track in the album. It can be scary stuff. Things conclude with what may be for most listeners the least-famous piece on the program, Hallowe'en, one of Three Outdoor Scenes by the American modernist Charles Ives (1874-1954). It's very brief and every bit as eccentric as you would expect it to be from this composer. Nagano makes it more than palatable. Producers Dominic Fyfe and Carl Talbot and engineers Carl Talbot and Christopher Johns recorded the album during concerts presented at the OSM's new home, the Maison symphonique de Montreal in October 2015. It's a shame, really, about the audience presence because the listener always feels aware of them during quieter passages. It's not terribly intrusive, but for people like myself who prefer hearing the best possible sound without distraction, the coughs and rustling are a little annoying. For comparison purposes, I first listened to a few excerpts from the 1980 Daphnis et Chloe album I mentioned earlier. Although it was a different venue for the Montreal Symphony back then, I found the older sound big, warm, detailed, and pleasantly ambient. Ironically, although (or because) the newer release has a live audience, I found it less realistic. The newer sound is closer, brighter in the midrange, and slightly harder. It still retains a good degree of concert hall bloom, and it's certainly transparent enough, yet it didn't make me feel as though I were really in the same room with the performers. 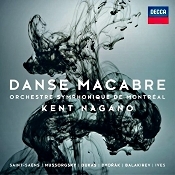 In short, the newer Decca recording with Nagano and the Montreal Symphony, despite its cleanness and clarity, did not sound as natural to me as the older one with Dutoit. Then there's the matter of the applause at the end of the Nagano concert, but I suppose we can at least be grateful to Decca for not including applause after every selection. 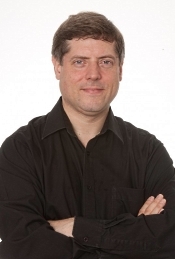 Adrian Leaper, Orquesta Filarmonica de Gran Canaria. Arte Nova 74321-46506-2. What do you mean you've never heard of the Gran Canaria Philharmonic before? Gran Canaria is the principal island in the Canary Island group, and its orchestra has been in existence since 1845. The remarkable thing about this little-known ensemble is how very good they are. 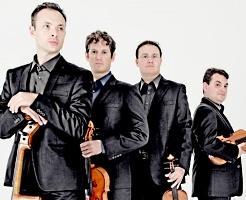 They may not sound as lush or opulent as the Berlin Philharmonic or the Concertgebouw of Amsterdam, but they play with a polish and precision that puts a lot of other famous ensembles to shame. Their rendition of the Mahler Fourth under conductor Adrian Leaper is quite almost as good as any on the market and comes at a budget price to boot. Leaper's interpretation is fairly direct, reminding me slightly of Haitink's performances. There is little room in the bucolic Fourth for too much flamboyance, anyway, and Leaper directs his group on a properly straightforward, if not particularly imaginative, course. The first and third movements are appropriately idyllic, but I admit I would have liked a little more sinister excitement in the second movement and perhaps a touch more childlike purity from soprano Hellen Kwon in the finale. Otherwise, the reading nicely conveys Mahler's quasi-religious moral intentions in an honest manner. Arte Nova recorded the work in 1996, two years before David Zinman and his Tonhalle Orchestra Zurich would put Arte Nova on the map with their outstanding Beethoven cycle. The sound of the Mahler is ultra clean and fairly clear, its only drawback being a certain lack of resonant hall ambiance to give the production some extra degree of realism. Still, it outclasses a lot of its more costly competitors, even though one must consider that the Szell recording on Sony (and remastered splendidly by HDTT) is only a couple of dollars more and far more affecting. 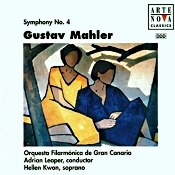 As of this writing I had also heard Leaper's fine recordings of Mahler's Third, Fifth, and Seventh Symphonies, and I understand Arte Nova have made most of the rest available, too. It is a series at least to consider. 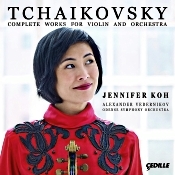 Jennifer Koh, violin; Alexander Vedernikov, Odense Symphony Orchestra. Cedille 90000 166. To begin, there's the matter of this Tchaikovsky album's title, "Complete Works for Violin and Orchestra." It sounds pretty impressive and should cover a wide range of pieces, possibly a box set. The fact is, though, Tchaikovsky wrote only three works for violin and orchestra and a fourth orchestrated by Alexander Glazunov. So a single disc contains seventy-four minutes of music. Fortunately, my second point more than makes up for any possible overstatement in the title: American violinist Jennifer Koh, Alexander Vedernikov, and the Odense Symphony do a fine job executing these works, and the Cedille engineers do their usual splendid job recording them. While it may not be an earthshaking release, the album makes for a rewarding listening experience. The Cedille team have arranged the pieces in chronological order on the disc, but I'll start with the most-popular among them first, the Violin Concerto in D major, Op. 35, written by Peter Tchaikovsky (1840-1893) in 1878. He wrote it just after the dissolution of a calamitous marriage and while carrying on a relationship with his pupil, violinist Iosif Kotek. The composer even wanted to dedicate the piece to Kotek but felt such a measure would put an undue strain on public gossip. In any case, the premiere took place in 1881, and what we consider one of the mainstays of the classical repertoire these days met with a mixed reaction at the time. Whatever, as good as she is, Ms. Koh never quite answers the question of whether we needed yet another recording of it. Koh displays her technical prowess throughout, while maintaining a sensitive atmosphere. It's a good juggling act, providing all the pyrotechnics needed and at the same time conveying the work's slightly melancholy mood. Of course, there are times when you may want her to just get on with it, as she does tend to linger over details quite a bit. So, for example, the first movement doesn't have quite the forward momentum or sense of sentimental urgency voiced by, say, Jascha Heifetz (RCA or JVC) or the young Itzhak Perlman (Chesky). Still, Ms. Koh plays the second-movement Canzonetta: Andante movingly (if, again, rather slowly), and she adds a note of rollicking boisterousness to the finale that helps toward relieving some of the mournfulness of the preceding movement. And, perhaps most important, Ms. Koh always sustains a graceful, elegant air. Under Ms. Koh and Maestro Vedernikov, the music conveys a healthy dose of Romanticism, combining polish, athleticism, and passion in equal measure. The fact that it also contains perhaps more stops and starts, more changes of direction, than probably any other interpretation is something the listener lives with. You get used to it. The other works on the disc appeared to me more immediately pleasing: the little Serenade melancolique, Op. 26, and Valse-Scherzo, Op. 34; and the longer, three-movement Souvenir d'un lieu cher, Op. 42, the one orchestrated by Glazunov. Here, Ms. Koh's melding of overt Romanticism with effortless efficiency seemed well and appropriately executed. 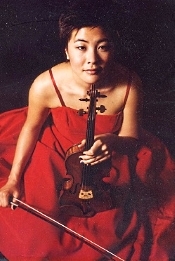 The Serenade is tender and affectionate without being too weepy; the Valse-Scherzo is ideal for showing off Ms. Koh's virtuosic brilliance; and the Souvenir is poignant, rhapsodic, wistful, and pointed by turns, with an especially frolicsome central scherzo. Producer Judith Sherman and session engineer Viggo Mangor, along with post-production engineer Bill Maylone and editing assistant Jeanne Velonis, recorded the music at the Odense Concert House's Carl Nielsen Hall, Odense, Denmark in September 2015. The sound is about as near perfect as it can be in these works, with excellent tonal balance, instrumental balance, orchestral depth, clarity, and definition. What's more, the engineers have positioned the violin ideally in relation to the other instruments and captured it in a most-natural manner, never bright, forward, or steely. With good dynamics and frequency range, the recording is probably the best we currently have for this music, so if you're just looking for sound, this might be a good choice. "Transient Glory," the groundbreaking new music commissioning series created in 2001 by Artistic Director Francisco J. Núñez for the Young People's Chorus of New York City, returns with six world premieres, representing a wide range of perspectives and styles from composers Mason Bates, Michael Gordon, Joan La Barbara, Jessie Montgomery, Robert Xavier Rodriguez, and Charles Wuorinen. The season begins November 4 and 6 with Movements from "Sirens" by Mason Bates. Bates writes "The sirens, those mythical beings of the island of Circe, occupy a unique place in literature. Unlike other temptresses, their lure is art, a song of such overpowering beauty that it draws sailors to a rocky death. In contemplating a large work, I imagined alluring and haunting music that would fully explore their special gifts. Perhaps one thinks of lyrical, melodic music coming from sirens, but this cycle casts a wide net in exploring seduction music. But sirens do not always involve danger, and in fact sometimes they are personified as pure, heavenly beings emanating harmonious music. Pietro Aretino's 16th-Century sonnet, a love poem in one breath, pays homage to the stars ("Stelle"), who are each blessed with a lovely siren atop them. This celestial setting gives way, in the central piece of the cycle, to the earthy and rich world of the indigenous South American people. The Quechua Indians associated sirens ("Sirinu") with equal parts mystery, temptation, and magic. Sitting in a rainy hollow, our sleepy narrator tells of the sudden appearance of a beguiling, singing siren of indefinite color. The dreamy music of the opening soon turns into a bluesy, ritualistic dance when the siren begins its song. But even when the siren disappears, the half-asleep narrator still cannot rid his mind of its strange song. Come, follow me, and I will teach you to be fishers of men.' The meditative, highly static music of the fishermen breaks from its confines when Jesus speaks." Distinguished Concerts International New York (DCINY) is honored to present Eternal Light, a concert which will take place on Sunday, November 20 at 8:30PM at Carnegie Hall's Stern Auditorium/Perelman Stage. The performance features the NYC premiere of Eternal Light by DCINY's composer-in-residence Howard Goodall, along with Morten Lauridsen's sweeping Lux Aeterna. Howard Goodall is a British composer who has achieved worldwide acclaim for his many contributions to the contemporary choral repertoire. He is also an Emmy Award-winning composer with a number of platinum-selling albums to his name, and is known to millions for his popular TV themes, including "Mr. Bean," "Blackadder," and more. Originally Commissioned by London Musici to celebrate its 20th anniversary, Eternal Light is a requiem composed with a progressive mindset. Goodall, in discussing his work, states that the "traditional requiem text…emphasizes judgment and everlasting damnation for anyone who transgresses… so in an attempt to provide some solace for the living that mourn, I stripped down the old Latin texts to a few phrases in each movement and laid beside them words from English poems from across the last 500 years." The concert will also feature a number of participating ensembles from the US and UK, including The Grove Singers of London, Heathfield Choral Society, Hook Choral Society, and Coro Lux among others. Guest conductor Bradley Ellingboe will conduct Lux Aeterna, while DCINY Artistic Director and Principal Conductor Jonathan Griffith will lead the Distinguished Concerts Orchestra for Eternal Light. The Music Institute of Chicago collaborates with Dance Chicago to present a family concert, "Duke It Out!," Saturday, December 10 at 10 a.m. and 2 p.m. at Nichols Concert Hall, 1490 Chicago Ave., Evanston, Illinois. This adaptation of TheNutcracker, curated by Dance Chicago, pairs the classical (Tchaikovsky) and jazz (Duke Ellington/Billy Strayhorn) versions of the holiday favorite, performed by Axiom Brass and Music Institute Ensemble-in-Residence Quintet Attacca. Featured ensembles include Forum Jazz Dance Theatre, Moscow Ballet's children's cast, The Kate Jablonski Statement, Tapman Productions, Visceral Dance Chicago, Wheatland Dance Theater, and other companies and choreographers participating in Dance Chicago 2016. "Duke It Out!" takes place Saturday, December 10 at 10 a.m. and 2 p.m. at Nichols Concert Hall, 1490 Chicago Avenue in Evanston, IL. Tickets are $7 general admission, available at musicinst.org/faculty-guest-artist-series or 847.905.1500 ext. 108. All programming is subject to change. American Bach Soloists, led by Artistic & Music Director Jeffrey Thomas, present their annual performances of Handel's masterpiece, Messiah, in one of San Francisco's most awe-inspiring, sacred spaces. ABS, Handel, and Grace Cathedral are perennially a winning combination and a highlight of the holiday season. A beloved Bay Area tradition now in its 18th consecutive year, ABS's performances of Handel's timeless work attract music lovers from around the world. Since 1998, ABS has presented Messiah in San Francisco's historic Grace Cathedral to more than 38,000 attendees. This holiday tradition has become an essential part of the musical year for many music lovers and was voted "Best of the Bay" by the readers of San Francisco Classical Voice in 2015. The Bay Area Reporter observed, "For those who treasure Messiah, Thomas' version is revelatory." Maestro Thomas will conduct the period-instrument specialists of ABS, the renowned American Bach Choir, and a quartet of brilliant vocal soloists. Cal Performances at UC Berkeley launches season-long celebration of the human voice, part of Berkeley Radical Immersion strand, featuring eleven choirs, ensembles, and soloists. "In War and Peace: Harmony Through Music"
Showcasing its three original ensemble members--clarinetist Kathryne Pirtle, violinist Florentina Ramniceanu, and pianist Diana Schmück--The Orion Ensemble, winner of the prestigious Chamber Music America/ASCAP Award for Adventurous Programming, presents "Serenade by Three: Orion Beginnings." Performances take place at First Baptist Church of Geneva, Illinois on November 6; the Music Institute of Chicago's Nichols Concert Hall in Evanston, Illinois on November 13; and the PianoForte Studios in downtown Chicago, Illinois on November 16. This month, Cantus launches their new touring program entitled "No Greater Love Than This." On the program, the men's vocal chamber ensemble addresses the camaraderie, bravery, honor, elation, loss and longing common to all soldiers in times of both peace and war, and shared between loved ones at home and across nations. Over the past week, Cantus has presented the program to unanimous critical and audience acclaim throughout Minneapolis-St. Paul -- where the ensemble is based -- and will head out on October 26th for the first major leg of their 30-city nationwide tour of "No Greater Love Than This" that will see the ensemble performing at the Metropolitan Museum of Art in New York, and in Dallas, New Jersey, Atlanta, Phoenix, and Southern California. With repertoire by Lee Hoiby, Melissa Dunphy, William Billings, John Lennon, Christine Donkin, a new commission by Emmy Award-winning composer Jeff Beal (House of Cards) and rarely performed songs for men's voices by Dvórak and Janácek, Cantus delves into the bonds that have defined those willing to lay down their lives for others. Orpheus Chamber Orchestra reunites with Turkish pianist and composer Fazil Say on Saturday, December 3 at 7:00 p.m. in Stern Auditorium / Perelman Stage at Carnegie Hall, following a highly successful collaborative New York and European tour in 2015. Say is featured in his own Piano Concerto No. 2, Op. 4, "Silk Road", inspired by the folk music found along the ancient trade route from China to Europe. He describes the composition as "a musical journey along a road, beginning in Tibet, leading into Hindu dances, with the third part dealing with music from Iraq. Then, the finale consists of folk tunes and songs from my homeland of Turkey." Say also performs Mozart's Piano Concerto No. 21, which includes the slow movement popularized by the 1967 Swedish film Elvira Madigan. The concert also includes Rossini's Overture to his comedic opera La Scala di Seta (The Silk Ladder), and Haydn's Symphony No. 83, "The Hen," nicknamed for its clucking grace notes and honking oboe solo. The program premieres on Thursday, December 1 at 7:00 p.m. at the Tilles Center for the Performing Arts in Greenvale, New York, and repeats on Sunday, December 4 at 3:00 p.m. at The Performing Arts Center at Purchase College in Purchase, New York. On Monday, October 24, 2016, the Grammy nominated, Boston-based ensemble, Collage New Music, will embark on its 45th Season. This season opener features the music of William Kraft and Nina C. Young, as well as a premier of Hayg Boyadjian's Mi Tango No. 2 - Al Abstracto, Arthur Berger's spiky and elegant Collage III, and Andrew Rindfleisch's exuberant What Vibes! The concert will be held at Edward M. Pickman Hall at the Longy School of Music of Bard College in Cambridge, Massachusetts, at 8pm. It includes a 7pm conversation about the program with composers and music director David Hoose, and a post-concert reception for audience and musicians. Tickets available at the door on the night of the concert. Student and senior discounts are available. 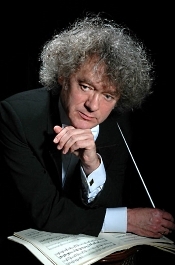 Alexander Anissimov, Moscow Symphony Orchestra. Naxos 8.553660. I've mentioned this before, but it bears repeating. If the name of Russian composer Alexander Glazunov (1865-1936) conjures up little more in your memory banks than the Raymonda and Seasons ballets, you're probably not alone. He is one of those very fine composers that people know today for mainly just a couple of things even though he composed a huge quantity of stuff. Fortunately, in the late 1990's and early 2000's the Naxos label sought to make Glazunov's symphonies better recognized through a series of recordings with Alexander Anissiov and the Moscow Symphony Orchestra. Glazunov premiered the Eighth Symphony in 1906, his last completed large-scale piece. It is a big symphony, to be sure, and typically Russian: weighty, resonant, and momentous, and, yes, in part a little menacing. Its most interesting movements are its second and third. The slow second movement has a particularly lyrical and serene central portion that would charm almost anyone. Then the tumultuous third movement scherzo provides an ideal contrast to the preceding repose. Fun stuff. Nevertheless, it's the Fifth Symphony that most impressed me. It may not display the same command of symphonic forces that the later Eighth does, but the Fifth has a wonderful combination of styles that range from Rimsky-Korsakov to Mendelssohn. At times you'd swear you were listening to one of Rimsky's colorful tone poems and at other times you'd think you were in one of Mendelssohn's enchanted fairy forests. It's really quite delightful, and we must congratulate Maestro Anissiov for his splendid work. The sound Naxos delivers here is among the best from this source. They provide the Moscow Symphony splendid, natural sonics, with an excellent orchestral bloom, reasonable depth of field, and no untoward prominence of any single instrument. The sonics are perhaps not the utmost in transparency nor is there much deep bass, but there is none of the soft, fuzzy, overly resonant acoustic we sometimes get from the Moscow Orchestra, either. 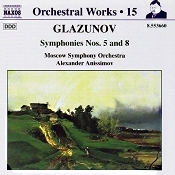 The disc's reasonable cost (especially now that used copies are so readily available) makes it easy for anybody to sample Glazunov's talents, the Moscow orchestra under Anissimov makes it easy to listen to, and the music takes care of itself in offering the differing sides of this fascinating composer. 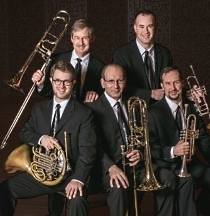 Hailed by Newsweek as "the high priests of brass," the American Brass Quintet is internationally recognized as one of the premier chamber music ensembles of our time, celebrated for peerless leadership in the brass world. As 2013 recipient of Chamber Music America's highest honor, the Richard J. Bogomolny National Service Award for significant and lasting contributions to the field, the American Brass Quintet's rich history includes performances in Asia, Australia, Central and South America, Europe, the Middle East, Canada and the United States; a discography of nearly 60 recordings; and the premieres of over 150 contemporary brass works. Committed to the development of brass chamber music through higher education, the American Brass Quintet has served as Ensemble-in-Residence at The Juilliard School since 1987 and the Aspen Music Festival since 1970. Following their residency at Adelphi University on October 8, the Quintet returned to Juilliard with two NYC premieres by Kenneth Fuchs and Eric Nathan (both of which debuted in Aspen this past summer), along with works by the late Brazilian composer Osvaldo Lacerda and a suite of Renaissance pieces for large brass ensemble, for which the Quintet will be joined onstage by their Juilliard students. Fuchs's "American" Quintet, commissioned by the ABQ, aims to capture a truly "Americana" style; consonant, pleasing and grand, with great virtuosic and musical variety. The Aspen Times commented that the composition "lit a fire under the players' virtuosity, with rapidly moving, colorful and delightfully accessible writing that never flagged. It was so good I wished they had played the entire 12 minutes over again." Kenneth Fuchs was a student at The Juilliard School during the beginning of the American Brass Quintet's tenure as Ensemble-in-Residence, and is a faculty colleague of the Quintet's trumpet player Louis Hanzlik at the University of Connecticut. On October 23, the American Brass Quintet appears at the Guggenheim as part of its Works & Process performing arts series for a Works & Process encore commission of Zorn's Commedia dell'arte, a suite of five miniatures for multiple ensembles inspired by the dell'arte characters Harlequin, Colombina, Scaramouche, Pulcinella and Pierrot. The Quintet's movement is the jovial, quasi-minimalist "Pulcinella." Commedia dell'arte displays a wide range of compositional styles spanning minimalism, post-bop jazz, avant-garde and more. This suite is being choreographed for a future collaboration with the ABQ. Additional fall engagements bring the Quintet to Colgate University (Hamilton, NY), The Hotchkiss School (Lakeville, CT), Adelphi University (Garden City, NY), Coastal Concerts (Lewes, DE) and University of Maryland – Baltimore County (Baltimore, MD). Internationally, the American Brass Quintet is presented by the Santa Marcelina Cultural Society in São Paulo, Brazil, and tours Asia in November in coordination with The Juilliard School. Distinguished Concerts International New York (DCINY) is proud to present its sixth annual performance of "Messiah…Refreshed!" on November 27th at 2PM, bringing their signature version of Handel's Messiah in the Thomas Beecham/Eugene Goossens 1959 re-orchestration for full symphony orchestra to Carnegie Hall's Stern Auditorium/Perelman Stage. The performance will feature an international choir made up of singers all over the world, as well as soloists from the Metropolitan Opera and the award-winning Distinguished Concerts Orchestra led by maestro Jonathan Griffith. The performance will be livestreamed via DCINY's Facebook page, whose previous livestreams have been viewed by over 1.5 million people around the world. 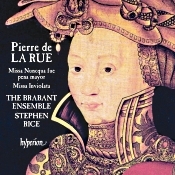 The Music Institute of Chicago presents the Cleveland ensemble Burning River Baroque, performing a free concert that explores well-known and overlooked female composers, November 4 at 7:30 p.m. at Nichols Concert Hall, 1490 Chicago Ave., Evanston, Illinois. "Twisted Fate: Famed and Forgotten Female Composers" blends works from antiquity to the present and explores the ways in which historical circumstances twisted the lives of some women into the spotlight and others into the shadows. The history of Western art music predominantly focuses on the lives and works of male teachers, composers, and performers. In eras when women rarely had access to the same educational and professional opportunities as their male colleagues, it can be easy to presume that women were simply not as productive and successful in the field. A closer look at history, however, reveals that some women were able to rise above the gender restrictions placed on them and achieved great success as professional musicians. Others led more private professional lives cloistered in abbeys and composing for their fellow sisters. "Twisted Fate: Famed and Forgotten Female Composers" takes place Friday, November 4 at 7:30 p.m. at Nichols Concert Hall, 1490 Chicago Avenue in Evanston. Admission is free. All programming is subject to change. For more information, call 847-905-1500 or visit musicinst.org. Some music just won't be pigeonholed, including the collection of compositions presented in Sonus Inenarrabilis. To do justice to this adventurous and haunting melding of diverse influences, you have to apply the immortal Duke Ellington's highest compliment: It's beyond category. Sonus Inenarrabilis, soon to be released on Dave Soldier's Mulatta Records label (www.mulatta.org), features six jazz-inflected compositions by John Clark, rendered by a nonet starring instruments more commonly associated with symphonic music, including French Horn, Bassoon, Viola, and Cello. Clark secured his jazz bona fides early on, playing with NEA Jazz Masters McCoy Tyner, Miles Davis, George Russell, and Gil Evans: Clark was a mainstay of Evans' renowned Monday Night Orchestra, which reigned supreme at Sweet Basil in the 1980s. He has played with luminaries including Joe Lovano, Julius Hemphill, Jaco Pastorius, the Mingus Orchestra, and has done extensive pop, Broadway, classical, and studio work. Ensembles who have performed Clark's compositions include the Gil Evans Orchestra, the McCoy Tyner Big Band, the Paul Winter Consort, Composers' Concordance, Genghis Barbie, Imani Winds, and the Pugh-Taylor Project. 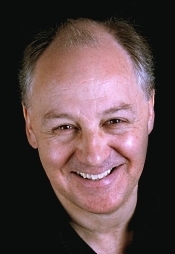 Clark earned an advanced degree from the New England Conservatory, and is currently on the faculty of Manhattan School of Music. New Century Chamber Orchestra announced today the appointment of British violinist Daniel Hope as Artistic Partner for three seasons, beginning 2017-2018 through 2019-2020. The position of Artistic Partner will provide artistic continuity throughout the search process for a permanent Music Director to succeed Nadja Salerno-Sonnenberg, who steps down at the end of the 2016-2017 season. 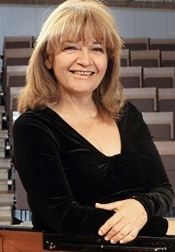 Following the January announcement that Nadja Salerno-Sonnenberg would be stepping down at the end of the 2016-2017 season, Executive Director Philip Wilder and the New Century Chamber Orchestra Board of Directors initiated a strategic process, creating a search committee dedicated to identifying the next stage of New Century's artistic leadership. It was unanimously agreed that the creation of a short-term artistic position would serve to maintain artistic stability and enhance organizational direction during the search for a permanent Music Director. In his role as Artistic Partner, Daniel Hope will lead the orchestra in multiple performances each season, with candidates appearing as Guest Concertmasters until a permanent successor has been appointed. The search committee is led by Founding President Paula Gambs and consists of members of the Board, musicians and staff. Under the direction of National Philharmonic Concertmaster Colin Sorgi, the newly formed National Philharmonic Chamber Players make their debut with a program of music by Mozart, Prokofiev and Fauré on October 23 at John Kendall Recital Hall at Potter Violins in Takoma Park, MD. The intimate hall seats only 90, allowing concert goers to experience chamber music as it was originally intended, up close and personal. "The new partnership between the National Philharmonic and Potter Violins is really exciting and the Philharmonic very much looks forward to bringing great chamber music to this wonderful new addition to Washington-area's music venues," said National Philharmonic Music Director and Conductor Piotr Gajewski. The October 23rd concert will feature violinists Colin Sorgi and Henry Flory; cellist Kerry Van Laanen; and pianist Kathryn Brake. The group will perform Mozart's Piano Trio in B-flat Major, K. 502; Sergei Prokofiev's Sonata for Two Violins, Op. 56; and Gabriel Fauré's Piano Quartet No. 2 in G Minor, Op. 45. The NP Chamber Players will also perform on two Sundays in 2017--a program of Brahms, Szymanowski and Lutoslawski on February 12, from 3-5, and a program of Ravel, Janacek and Korngold on May 7, also from 3-5. Potter Violins, John Kendall Recital Hall is at 7711 Eastern Ave, Takoma Park, MD. The Pierre and Tana Matisse Foundation has awarded an Arts Education Impact Grant of $750,000 to the Young People's Chorus of New York City for its new initiative: Vocal Resolutions: Shaping Perceptions Through Music. The Matisse Grant, one of today's most prestigious and competitive arts grants, will be distributed over five years and support YPC's innovative new initiative that focuses on matters of social justice and uses music as a catalyst for cultural exploration and mutual understanding among young people of diverse backgrounds. Vocal Resolutions: Shaping Perceptions Through Music will provide YPC choristers vocal training that includes customized private lessons, recitals, as well as master classes led by celebrated professional singers. The program will not only develop highly trained singers with individually honed vocal skills, but also provide them with knowledge and understanding of social concerns that will lead to a skillful cultural dialogue. Each year of the five year project, a composer will be chosen to write a new work that raises awareness of our current social climate. The work will aim to stimulate conflict resolution discussions in music workshops that further shape the piece, which will be premiered as part of a year-end summit conference and concert in association with Carnegie Hall. The first composer chosen for the new initiative is Michael Gordon, who also serves as YPC's composer-in-residence. The Music Institute of Chicago Chorale, conducted by Daniel Wallenberg, announces its 30th anniversary season, collaborating with Music Institute ensembles and faculty on three concerts at Nichols Concert Hall, 1490 Chicago Ave., Evanston, Illinois. The season opens Sunday, December 11 at 7:30 p.m. with "Curtains Up!" Music Institute voice faculty and Chicago Children's Choir ensembles from Rogers Park and Humboldt Park join the Chorale for music of the stage, opera, and musical theatre. "Sing We and Chant It" on Sunday, March 19 at 3 p.m. celebrates early music, with the Music Institute's Recorder Orchestra, Gamba Ensemble, and Natural Trumpet Ensemble enhancing the Chorale's vocals. The season concludes with "Dona Nobis Pacem" Sunday, June 11 at 3 p.m., a choral and orchestra concert featuring Music Institute string faculty members in the orchestra and the Jewish Reconstructionist Congregation Choir singing with the Chorale. The program includes Dona Nobis Pacem by Vaughan Williams and To the Chief Musician by Israeli composer Yehezkel Braun. June 11 at 3 p.m.: brownpapertickets.com/event/2696880 at Nichols Concert Hall, 1490 Chicago Ave., Evanston, IL. Tickets are $15 adults, $10 seniors and $7 students. Also, Schumann: Introduction and Concert Allegro. Idil Biret, piano; Antoni Wit, Polish National Radio Symphony Orchestra. Naxos 8.554088. One of the resident pianists of the Naxos label, Idil Biret, was bound to get to the Brahms First Piano Concerto sooner or later, and in 2001 she got there. After one of the longest introductions to any concerto anywhere, the piano finally makes its entrance at about the four-minute mark, providing the pianist has stayed around long enough to come in on time. Ms. Biret attacks the opening movement with vigor and pounds out the notes in appropriately heroic fashion. If she misses some of the craggy work's subtler moments, especially in the Adagio, she more than makes up for it in pure adrenaline. I especially enjoyed the closing Rondo where the massive structure of the concerto's beginning gives way to a more lyrical yet still energetic tone. Ms. Biret seems more at home here and concludes the piece in a most poignant manner. Frankly, though, I liked Ms. Biret's work in the companion piece, Robert Schumann's Introduction and Concert Allegro, better than her work in the Brahms. Schumann's piece, written in 1853, his late period, is a kind of condensed piano concerto in a single, fifteen-minute movement. It works fine, and Ms. Biret brings out the poetic charm as well as the Romantic bravura in it. Meanwhile, the Polish National Radio Symphony Orchestra play about as well as one could want, although they are not really in the class of the Berlin Philharmonic, the London Symphony, or the London Philharmonic. 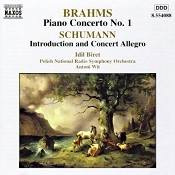 The sound of the disc is typical Naxos of the day, meaning the orchestra appears a little thick, dark, and soft, while the piano remains firm and clear. The sonics have good range, too, good stereo width, and at least a moderate depth of image. Still and all, in comparison to rivals in the Brahms like Giles on DG, Curzon on Decca, and Kovacevich on EMI or Decca/Newton Classics/Philips, the listener may find both the sound and the performance on the Naxos issue a bit wanting. The two earlier competitors, Giles and Curzon, are framed in more transparent, if slightly noisier, analogue sound; and Kovacevich on the newer EMI has the advantage of a quieter digital recording. Nevertheless, if price is a consideration, there is always the fact that this release isn't probably going to cost you as much as the others mentioned. You get what you pay for. Cal Performances at UC Berkeley is proud to launch "Page & Stage," a unique take on the traditional book club that offers a focused look at literary works associated with selected artists and performances during the 2016/17 season. Cal Performances associate director Rob Bailis will host the series of one-hour conversations with authors, artists, and scholars, exploring the dynamic relationship between staged works and literature. Topics will include artistic inspiration, how artists reimagine established works, and the artistic process involved in creating such adaptations. Four texts have been selected for the inaugural series of discussions: the Memory of Fire trilogy by Eduardo Galeano, Twelfth Night by William Shakespeare, Beethoven for a Later Age: Living with the String Quartets by Edward Dusinberre, and A Streetcar Named Desire by Tennessee Williams. The "Page & Stage" series will take place in the intimate setting of The Musical Offering café, Berkeley, California, and each ticket includes one complimentary non-alcoholic beverage, with additional food and beverage available for purchase. Each moderated discussion will encourage audience participation and be followed by informal conversation among attendees. Tickets for the "Page & Stage" series on Wednesday, November 16; Monday, March 20; Thursday, April 6; and Thursday, May 11 at The Musical Offering are $5 per event and include one complimentary non-alcoholic beverage per ticket holder. Tickets are available in advance through the Ticket Office at Zellerbach Hall, at (510) 642-9988, and at calperformances.org, and will be available on the evening of each event at the Will Call office across Bancroft Way at Zellerbach Hall, pending availability. 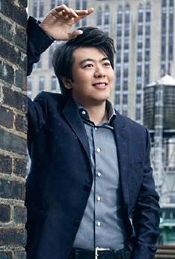 On November 17 at 8PM, internationally acclaimed Chinese pianist Warren Lee makes his DCINY Artist Series debut at Carnegie Hall's Weill Recital Hall with a solo piano recital featuring the music of Bach-Busoni, Tan Dun, Beethoven, Chopin, and Lee himself. A Steinway Artist, Warren is also an award-winning and internationally published composer. He received the Ten Outstanding Young Persons Award in Hong Kong in 2012 and was elected an Associate of the Royal Academy of Music (ARAM) in 2015 for his significant contribution to the music profession. A graduate of the Royal Academy of Music and Yale School of Music, Warren Lee's artistry has brought him to four continents, gracing stages of all sizes and forms and in collaboration with international artists and leading orchestras. His discography includes multiple albums on Universal Music (Hong Kong) and Naxos Music, and has garnered rave reviews worldwide. As an educator off the stage, Warren is the Music Director of St. Paul's Co-educational College, which was the recipient of the Yale Cultural Leadership Citation in 2016. Since 2015, he has also been the host of the popular radio series, "Piano Examinations" on RTHK Radio 4. Young Uzbekistani pianist Behzod Abduraimov returns to Carnegie Hall's Stern Auditorium/Perlman Stage on November 17, 2016. The accomplished musician has already earned great recognition and critical acclaim for his exceptional caliber of pianistic ability, and he is quickly establishing himself among the frontrunners of the current generation's outstanding pianists. After making his New York recital debut in conjunction with his Carnegie debut in Weill Recital Hall in February of this year, Mr. Abduraimov was praised by The New York Times: "This was playing of assurance and ideas: a tense Chopin, a Schubert slipping between stability and dissolution and 'Gaspard' as a surreal flood of colors, from the glassy opening of 'Ondine' to the trills in 'Scarbo.' Mr. Abduraimov came out with something to prove, and in the first Ballade the extremes — of tempo, volume and phrasing — stood out in stark, self-conscious relief, with an effect like that of looking at a landscape through the glare of the sun...Mr. Abduraimov will, I expect, have a long and distinguished career to show us." Golden Gate Symphony Presents "Sent-Down Youth: An Intercultural Exchange"
The Golden Gate Symphony Orchestra & Chorus, led by Music Director Urs Leonhardt Steiner, presents "Sent-Down Youth: An Intercultural Exchange," November 5 at Mission Dolores Basilica, San Francisco. Commemorating the 50th anniversary of China's "sent-down youth" movement, the program will showcase a rare performance of Ask the Sky and the Earth, a classical oratorio-cantata for orchestra, chorus and solo voices, by Chinese composer Tony Fok and librettist Wei Su, that reflects upon one of the largest cultural experiments in human history. This performance will bring together Chinese and American performers from Bay Area communities and across the United States, marking the first cross-cultural presentation of this work by an independent Western arts organization. Also featured on the program is the World Premiere of Remembering for Atonement by Bay Area composer Michael Kimbell and Beethoven's Symphony No. 6 (Pastoral). 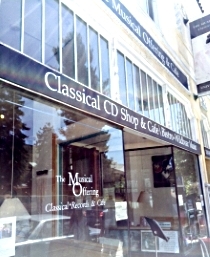 Single tickets are $35 and can be purchased through City Box Office at 415.392.4400 or http://www.cityboxoffice.com. Led by Co-Founder and Artistic Director Michael Tilson Thomas (MTT), the New World Symphony, America's Orchestral Academy (NWS), launches the fifth season of its WALLCAST concert series, presented by Citi, on October 15. The series features 11 concerts projected on the 7,000 square-foot eastern façade of the New World Center for audiences in adjacent SoundScape Park, which is equipped with over 160 Meyer Sound speakers for an immersive sound experience. This season, the WALLCAST experience is enhanced by the installation of a dozen 4K Ultra-High-Definition (UHD) cameras in partnership with Hitachi Kokusai Electric America, completing the first phase in an end-to-end 4K upgrade of NWS's video infrastructure. The series launch also commences the first full season of NWS' Sensory Friendly Environment (SFE), which offers children and adults with Sensory Processing and Autism Spectrum Disorders the opportunity for a full concert experience in conjunction with each WALLCAST concert in a space that caters to their special needs. Through these new initiatives, NWS reinforces its commitment to community engagement and audience diversity. Each WALLCAST concert is free to the public and does not require a ticket. One week after a fire devastated the First Congregational Church in Berkeley, Philharmonia Baroque Orchestra & Chorale has secured new venues for ten season subscription concerts that were originally scheduled to take place in the Sanctuary at First Congregational. First Congregational Church has been the home of PBO's Saturday and Sunday Berkeley series concerts for more than 30 years. The fire happened September 30 - roughly two weeks before the season opener was scheduled to take place at the church. The orchestra staff has since been scouting multiple possible venues, seeking locations that could meet the Orchestra's needs. 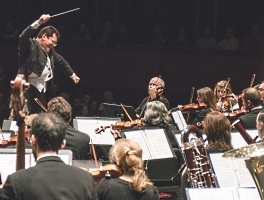 The Philharmonia staff knew that the new venues would need to be in the East Bay, accommodate up to 600 subscribers and single ticket buyers, suit - as best as possible - the physical and acoustical needs of a period instrument orchestra (which does not use amplification), and offer reasonable parking and transportation options. Within a few days, the team at PBO secured First Presbyterian Church in Berkeley for all but one of its Saturday concerts. First Presbyterian is located across the street diagonally from fire-damaged First Congregational Church, so patrons will not experience any significant difference in their drive times or parking. In addition to the ideal proximity, the Sanctuary at First Presbyterian is approximately the same size, and offers a choir loft for the Chorale. The Sunday series of concerts has been scheduled to take place at Lafayette-Orinda Presbyterian Church in Lafayette. "LOPC," as it's called, was a PBO venue from 2003-2010 when the Orchestra performed a series in Contra Costa County. The church has since been renovated and will nicely accommodate the orchestra and its patrons. The only concert not taking place at either First Presbyterian or LOPC is the Vivaldi & Bach concert with Rachel Podger, which is being presented on Saturday November 5 at Hertz Hall on the UC Berkeley Campus. "Given this terrible situation, I'm pleased with how smoothly this transition is being made. The fact that our Saturday concerts will now happen right across the street from First Congo couldn't be better. Lafayette-Orinda Presbyterian Church is an old friend to Philharmonia and has worked very hard to accommodate us. And our patrons and musicians have been extraordinarily supportive," says Monroe. The season is now all set to begin with the All-Beethoven program featuring Robert Levin now taking place at Lafayette-Orinda Presbyterian Church in Lafayette on Sunday October 16. The Saturday October 22 concert is now happening at First Presbyterian Church in Berkeley. All Berkeley Series ticket-holders are being instructed to keep their existing tickets and to present them at the door of these new venues in both October and November. While the seating plans are different in the new venues, tickets will be honored and patrons will be assigned seats approximating their subscription preferences. Ushers will be on hand to assist patrons find their new seats. Subscription tickets for the remaining season concerts beginning in December will be reprinted with new venues and mailed to subscribers. First Presbyterian Church is located at 2407 Dana St, Berkeley, CA 94704. Lafayette-Orinda Presbyterian Church is located at 49 Knox Dr, Lafayette, CA 94549. Hertz Hall is located at 101 Cross-Sproul Path, Berkeley, CA 94704. The Indianapolis Symphonic Choir inaugurates its 80th Anniversary Season with their return to Carnegie Hall – the Choir's first performance in the storied hall in nearly 40 years. Eric Stark conducts the New York City debut of the oratorio Zabur by composer Mohammed Fairouz, a piece commissioned and premiered by the Indianapolis Symphonic Choir in Indianapolis in 2015. Joining the Symphonic Choir are the Indianapolis Children's Choir and New York-based orchestra Mimesis Ensemble. The performance also includes Benjamin Britten's Les Illuminations.